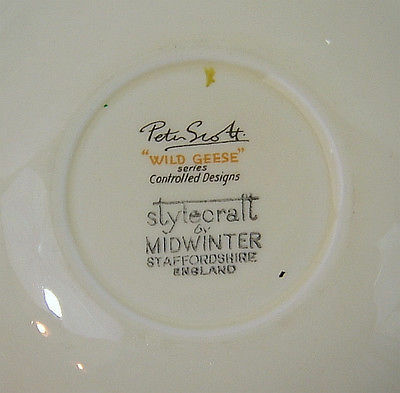 An excellent opportunity to acquire one or more Saucers from the Wild Geese series manufactured by the Midwinter Pottery. This Plate measures just about 5.75 inches (13.5 cms) in width. Currently, there are 2 such Saucers available though this offer is for ONE Plate ONL Y . I would be happy to discuss the purchase for the 2 so please contact me. 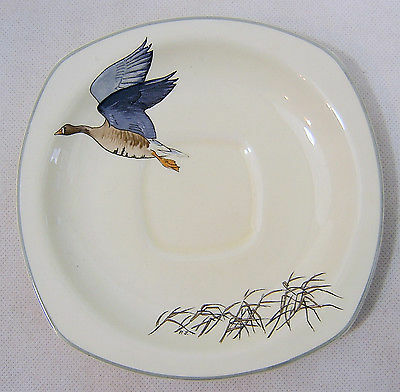 Please note that, although these saucers are in overall very good condition, they have been pre-owned. There is no crazing evident on either piece and no chips/nibbles evident. UK standard delivery is FREE OF CHARGE for one or more saucers.